Racine Roofing and Remodeling provides residential roofing Services in Racine, Kenosha, Sturtevant, Caledonia, Milwaukee and Franksville, as well as all of the Wisconsin. If you expect superior residential roofing systems performance, then you have to hire a team dedicated to giving you outstanding installation practices. At Racine Roofing & Remodeling, we promise that we are committed to working closely with you to fully understand your requirements, needs, and budget, and based on the information you provide, we will come up with an estimate that is individually tailored for you, while using a variety of high quality materials and the latest technology, so that you don’t have to worry about a thing. Each residential roofing system has its own performance characteristics and distinct advantages, and at Racine Roofing & Remodeling, we have acquired vast knowledge and expertise on the intricacies of each roofing system’s particular characteristics, allowing us to effectively recommend roofing solutions that best meet your needs. Proper installation is essential to maximize the benefits of the roofing system and your investment. We pride ourselves on craftsmanship with special attention to detail work, which is critical to the success of your roof. Your roofing system is only as good as the roofer who installs it, so trust us to get the job done right the first time. We understand that your house is more than walls and a roof, it is the place you and your family call home. Your home is where your security and peace of mind live. At Racine Roofing & Remodeling, we want to make sure that security is intact. Be sure to protect your home with your residential roofing needs, so that it can continue to protect you, and make a smart investment by trusting our integrity driven team to help you have the home of your dreams. 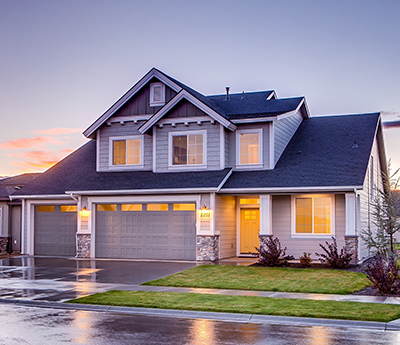 We work on houses of all sizes, and we have immediate availability for emergency repairs, so you can count on us when you need someone the most. We offer labor, factory, and extended warranties on all of our work. Racine Roofing & Remodeling makes it a common practice to operate with superb customer service, terrific quality material, and habitual safety procedures to ensure you’re 100% satisfied with our work! Improving your roof is one of the best ways to differentiate the look of your home. Convey your personal style with an assortment of color and style options, and have the best looking home, store, or other building on the block!